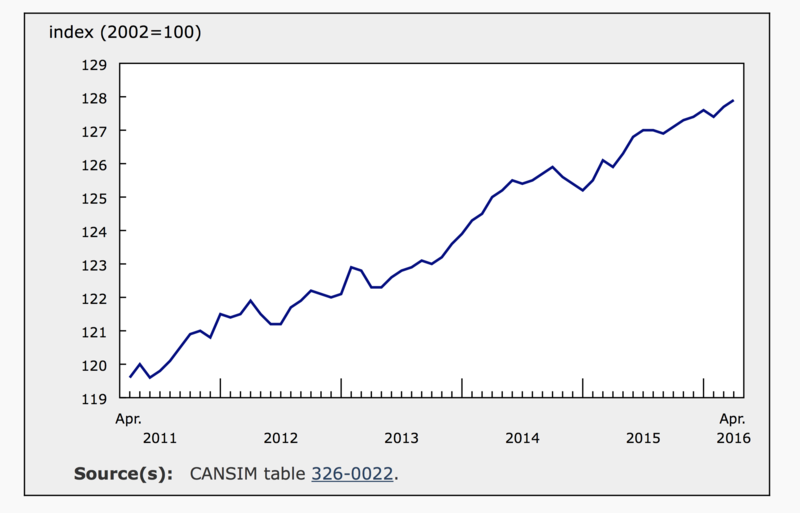 According to Statistics Canada, the consumer price index (CPI), a primary gauge of inflation for the Bank of Canada, climbed 1.7% over the year ending in April. Consumer prices appear to be heating up as annual inflation was only 1.3% in March. However, for the month of April, the CPI gained 0.3% slowing from 0.5% in March. April’s lower monthly rate was largely due to cyclical seasonal factors. With seasonal adjustments, inflation was 0.2% in both March and April (see graph below). Today’s CPI report was in line with expectations. Excluding energy, prices were flat in April. The energy index jumped 3.8% as gasoline prices spiked (8.9%) in April. Year over year, the price of gas still fell (-5.8%) and the overall energy index declined by 3.2%. However, the transportation index, which includes gasoline, managed to inch up 0.9% over the 12 month period. Clothing and footwear was the only major component of consumer spending to record lower prices for the year ending in April. In April, the CPI increased by 0.3% despite a monthly decline of 0.5% in the price of food. The food index posted a 0.3% decline in March and was a major headwind to overall inflation in April. Food prices declined (0.8%) at the grocery store but were (0.3%) higher at restaurants. Lower prices at the grocery store include a 3.5% monthly decline in the price of fresh fruit and a 5.4% decline in fresh vegetable prices. The index for meat was down 0.8% in April following a 2% jump in March. Overall price levels were bolstered in April by a 2% spike in the transportation index, which also added 1.3% in March. Transportation costs were mostly impacted by higher gas prices in April. The index for air transportation was also 1.3% higher in April, following a 0.1% decline in March. The Bank of Canada’s core index was up 0.2% in April as was the all items index excluding food and energy. Shelter costs inched up 0.1% with no change in the cost of rent. Home maintenance and repairs jumped for both homeowners (1.3%) and tenants (2.6%) for the month. The index for household operations, furnishing and equipment increase 0.2% in April and there was no monthly change in the index for clothing and footwear. Costs associated with health and personal care were 0.7% higher in April following a 0.1% decline in March. This was the result of a 1.7% increase in health care services. The index for recreation, education and reading declined 0.5% in April as travel service costs tumbled 6.1% following 4.1% growth in March. After seasonal adjustments, the CPI was up 0.2% in April, matching the seasonally adjusted inflation rate in March. Seasonally adjusted prices were lower for food and for recreation, education and reading and higher in the remaining 6 components of Canada’s CPI. Seasonally adjusted inflation for the month was mainly the result of a 1.7% increase in the transportation index. For the year ending in April, every major component of the CPI was higher except for clothing and footwear, which was down 0.2%. Annual inflation slowed in three of the major components of consumer spending; household operations, furnishings and equipment; alcoholic beverages and tobacco; and food. Food prices were still up 3.2% year over year and were the most significant contributor to overall inflation. Food accounts for about 16.4% of consumer spending. The food index increased 3.6% in the 12-months ending in March. The transportation index increased 0.9% in the 12 months ending in April following a 1.0% decline in March. Shelter costs also accelerated, up 1.4% in April compared to 1.1% in March. 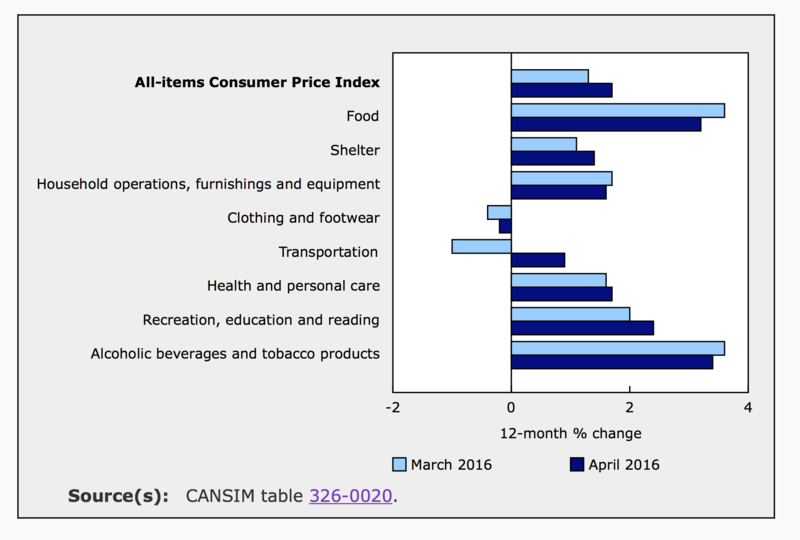 For the month of April, inflation was highest in Prince Edward Island and Nova Scotia. Both provinces saw overall price levels increase by 0.7%. British Columbia recorded the lowest monthly inflation rate with prices remaining flat. Monthly inflation was also low in Alberta and Saskatchewan at 0.1% in both provinces in April. For the year, inflation was above the national average (1.7%) in Newfoundland and Labrador (2.0%), New Brunswick (2.2%) and Ontario (2.1%). On the other hand, at 1%, the annual inflation rate for Quebec was significantly below the other provinces. Aside from Alberta, where April’s annual inflation rate matched the rate in March, inflation accelerated in the other nine provinces. Today’s inflation report did not include any major surprises. In their April Monetary Policy Report, the Bank of Canada cut economic growth expectations for 2016 and 2017. 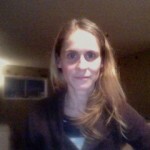 Canada’s economy is undergoing major structural changes as it shifts away from oil dependence. This makes gauging the state of the economy and the potential output gap more difficult. However, inflation is still below the Bank’s 2% target and the Bank of Canada will not likely make any changes to their target interest rate until the end of 2017. Currently, consensus expectations are for a 0.25% rate hike in the last quarter of next year. The Bank of Canada will release their next policy statement on May 25th.